Guatemala is home to over 700 bird species, including over 400 residents and many regional endemics. A small country with 7 main ecosystems, it is a birdwatcher's paradise because you may travel from one ecosystem to the next in less than 2 hours and discover different bird assemblages. Come join us in our bird watching tours, whether you are a beginner or an experienced birder, we are sure that you will love it and want to return! Come to see something different at just 10 miles from Antigua , you will visit Cerro Alux, or Alux Hill. This forest was declared as a watershed reserve in 1997 and covers 5,372 hectares at an elevation of 2,200 m.
The close proximity to the gateway city, numerous trails and roads, and the high number of species make Cerro Alux a premiere birding destination. During one early morning, three-hour visit, you may see 30 perhaps 40 bird species, including several regional endemic species such as the rufous-collared robin, the white-eared hummingbird, the black-capped swallow, the blue-and-white mockingbird and maybe the blue-throated motmot. Star the trip in Cerro Alux with the Specialist Bird guide. To reserve this tour please contact us with the Tour reference number B-1. Located only 1 hour from Antigua on the outskirts of Tecpan, you may bird watch and enjoy a healthy nature walk at Molino Helvetia Private Reserve. There you will discover an interesting pine-oak forest where a symphony of birds will enliven your spirit! In operation for almost one century the “Molino” or flour-mill operated until 2005 when it was turned into a museum and flour production transferred elsewhere. Casa Xara, a fabulous comfortable house in the countryside located within the Reserve, invites you to spend a relaxing night in the midst of the forest. “Xara” means jay in Maya kakchikel. Steller's and Bushy-crested jays are common birds in this forest, where you may also discover band-backed wrens, mountain trogons, and pink-headed warblers (with some luck). A few miles away is the archaeological site of Iximché, the former capital of the Maya Kakchikel kingdom during the late Post-classic period. Iximché welcomed the arrival of the conquistador Don Pedro de Alvarado, and the Spaniards established the first capital of Guatemala in Tecpan in the 1524 just a couple of miles outside Iximche. 3:00 or 4:00 p.m. Arrival at your hotel. 7:00 a.m. delicious breakfast and free morning, nature walk on your own, and enjoy the sunrise and bird sounds. 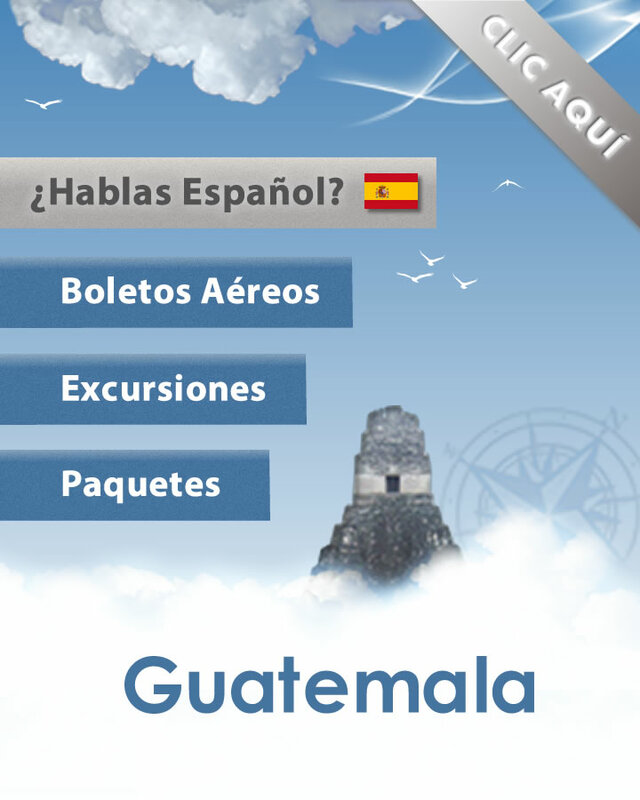 At noon, return to Antigua or Guatemala City or continue on your next venture. Includes: Transportation, entrance fees, breakfast, specialist guide . “Guatemala Bird Checklist by Ecosystems” book guide. Overnight option at Casa Xara: Includes the same schedule and one night accommodation at Casa Xara. To reserve this tour please contact us with the Tour reference number B-2. Two-hours away from Antigua, Los Tarrales Private Nature Reserve offers you a great taste of coffee in the midst of a lush subtropical humid forest, on the Southern slope of Atitlan volcano. From the old hacienda house gardens to the trail called “ La Rinconada ”, you will enjoy colorful flowers, butterflies, and birds. This rich ecosystem houses many tropical bird species, such as the white-bellied chachalaca, the long-tailed manakin, the red-legged honey-creeper, the blue-tailed hummingbird & the long-billed star-throat, along with tanagers, parrots, parakeets and wrens. Santiago Atitlan is a Maya Tzutuhil village where traditions are quite rich and alive. Your eyes will marvel over the colorful local textiles and women's weavings. You may visit the beautiful Catholic Church and the shrine of Maximon, a local saint or deity for the villagers. Price: US$ 90.00 p/p* Minimum 3 passengers. To reserve this tour please contact us with the Tour reference number B-3. Enjoy a three day bird watching tour and explore the mayan culture in the Western Highlands of Guatemala. Depart to Lake Atitlan . Free afternoon on your own. Accommodations at hotel Posada de don Rodrigo. Visit Chichicastenango (the church, the market and Pascual Abaj hill) on your own. Lunch on your own. Price: US$ 286.00 p/p* Minimum 3 passengers. Includes: Transportation, entrance fees, 4 meals, 2 nights accommodation, specialist guide “ (1 st day) and local guide at Los Tarrales , Guatemala Bird Checklist by Ecosystems” book guide. To reserve this tour please contact us with the Tour reference number B-4. Claire Dallies de Masaya, our specialist bird guide, is a French national who has lived most of her life in Guatemala . Her professional training as a tropical biologist & ecologist makes her a knowledgeable naturalist guide. She worked for 2 years as a naturalist & dive guide in the Galapagos Islands, and has worked as an ecotourism consultant in Guatemala for over 10 years. She has trained several groups of ecotourism Peace Corps volunteers, as well as ecotourism and bird watching guides in Guatemala . She recently published the “Guatemala Bird Checklist by Ecosystems”. Claire knows the country very well and has developed a deep interest for Maya history, archaeology and people. Enjoy your visit with her knowledge is your own language (French, English or Spanish). All Tours with symbol (*) require a minimum of 3 persons to operate. All tours require reservations in advanced. The prices are per person in USD and subject to changes.